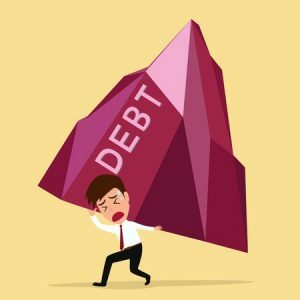 Are you struggling with a mountain of debt? Would you like to balance your finances so you can enjoy your life? Many people struggle daily with their finances. Others ignored the warning signs that they needed to rein in their finances before it was too late. The following information will help you determine if you are in danger of being buried under debt and how you can take charge of your finances. If you have ever taken a cash advance from one credit card to pay the monthly minimum on another card, your debt load is too high and you need to work to decrease your overall debt load. There are many things you can do to help restore your personal finances, including beginning a part time job or limiting your spending habits until your finances improve. You should begin by determining which credit card has the highest interest rate and work to get it paid off first. Next, you will want to pay off the credit cards with the lowest balance. Set a goal to get these paid off. Most people find that they can pay off a credit card within six months or less. So, this should be your goal. 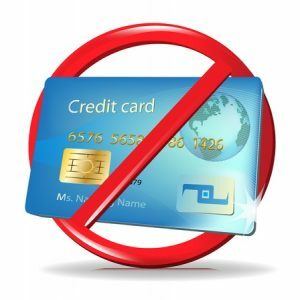 During this time, avoid charging anything on your credit cards. Are You Guilty of Robbing Peter to Pay Paul? Another sign that you have too much debt is needing to pull money off of your credit card to keep your banking account from going into the negative. This is a sure fire sign that your finances are in trouble. Reconcile your checking account often to help you avoid overspending. This can help you see where you are overspending. One of the best ways to keep track of your living expenses is to use a cash-only system. Pay your monthly expenses first. Then, take your remaining money and divide it up to cover your everyday expenses, such as grocery, lunches and entertainment. This money should be stored in envelopes and used to purchase the things you need throughout the month. Many people find that this system is so easy that they continue using it once they get their finances under control. Do You have to Look Over Your Shoulder Before Going to the Grocery Store? If you need to check the balance of your credit cards before going to the grocery store, your finances may be out of balance. Although using a credit card is a convenient way to shop, you should pay your balance off at the end of the month. If you use a credit card to purchase your groceries and gas and only make the minimum payment on your credit card, it can be a red flag. This method will increase your debt load and can result in a mountain of debt quite quickly. Instead, keep track of your expenses, pay with cash and work to decrease your debt load. Do you have difficulty paying the minimum payment amount due on your credit card each month? This is a sure fire sign that your debt is out of control. It is time to stop using your credit cards and begin paying off your balances to lower your debt load. If necessary, find a way to make extra income to support your lifestyle and pay off your debts. Many people will find the scenarios listed above as outrageous; however, many people live this way. In fact, people across the nation struggle with their finances. The good news is with a concentrated effort, you can pay down your debts and get your finances under control. Although it will not happen overnight, you will be able to eliminate the burden of debt you have been living under and begin enjoying a debt-free life. Use the tips from this article to pay down your debt load. Stop charging on your credit cards, use a cash only system and take a second job to help pay off your credit cards. Once you have paid off your credit cards, you will be amazed at the amount of free money you have. 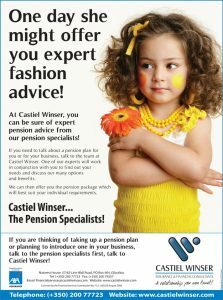 Budgeting For The Future Live With A Budget And Prosper Are Payday Cash Advances Right For You?